A new mission: The late twenty-third century-Starfleet's golden age of exploration. Desperate to stay one step ahead of its rivals, the Federation sends two starships, the scout Sagittarius and the cruiser Endeavour, to plumb the secrets of the vast region known as the Taurus Reach. A doomed race: Drawn by mysterious energy readings to a lush green world, the crew of the Sagittarius find the Tomol: a species whose members all commit ritual suicide just as they reach the cusp of adulthood. 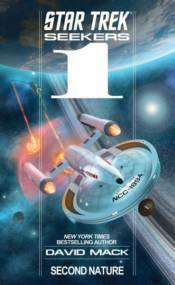 An old foe: The crew of the Sagittarius wants to save the Tomol from their cycle of self-destruction, but first they'll need to save themselves-from the most nefarious Klingon starship commander in history.